The Vail Breast Cancer Awareness Group recently announced that Lee Woodruff, pictured here with her husband, Bob, would be the featured speaker at its 23rd Celebration of Life luncheon to be held at the Vail Marriott Mountain Resort on Friday, July 21. What: Vail Breast Cancer Awareness Group’s 23rd annual Celebration of Life luncheon. Where: Vail Marriott Mountain Resort, 715 W. Lionshead Circle, Vail. Cost: Sponsorships begin at $2,000 for a table of 10; individual tickets are $125. More information: Call 970-479-8595, or email info@vailbreastcancerawareness.org. VAIL — Lee Woodruff knows that life can change in an instant. 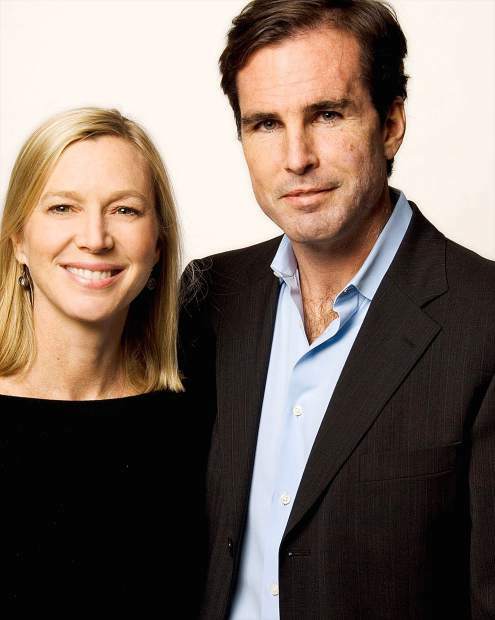 Woodruff was a successful writer, businesswoman and mother of four when her husband, Bob Woodruff, who had just been named co-anchor of ABC’s “World News,” was severely wounded in a roadside bomb attack in Iraq. Instantly, both of their lives were turned upside down. Showing immense courage, Lee Woodruff held her family together, providing the extra support her children needed, as well as moral and physical support to her husband during his painstakingly slow recovery. The Vail Breast Cancer Awareness Group recently announced that Lee Woodruff would be the featured speaker at its 23rd Celebration of Life luncheon to be held at the Vail Marriott Mountain Resort on Friday, July 21. The Vail Breast Cancer Awareness Group chose Woodruff because she is a testament to strength and grace during life’s many challenges. She has not only overcome immense obstacles, they maintain, but has also continued to excel in her personal and professional life and, with her husband, founded the Bob Woodruff Foundation, an organization that addresses the emerging needs of impacted veterans, service members, families and caregivers. Lee Woodruff’s message of love and healing serves as an inspiration to anyone trying to navigate her own path. She reminds audiences that nothing is stronger than love and hope, luncheon organizers stated. Sponsorships for the Celebration of Life luncheon begin at $2,000 for a table of 10; individual tickets are $125. For information or reservations, call 970-479-8595 or email info@vailbreastcancerawareness.org.